It’s been over 195 years since Thomas Jennings received a patent for a dry cleaning process, and black inventors have continued to change, innovate and enhance day-to-day life. 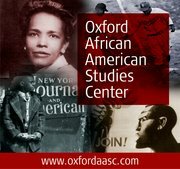 This Black History Month, the team behind the Oxford African American Studies Center is excited to explore some of the many inventions dreamed up, brought to life, and patented by black inventors. The first African American patent holder for an invention was Thomas L. Jennings. Born free in New York, Jennings was a well-known reformer who worked in the tailoring and dry cleaning trade, received his patent for a new dry cleaning process in 1821. Born in Paramaribo, Surinam (Dutch Guiana), Jan Earnst Matzeliger immigrated to the United States on the 1870’s. In 1883, Matzgeliger invented an automated shoemaking machine that quickly attached the top of the shoe to the sole. Although he remained active in the developing shoe-machinery technology Matzeliger’s financial benefit from the work was relatively modest. The first African American woman to receive a patent (No. 305,474), Washingtonian Judy W. Reed was completely illiterate, signing only “X” in place of a signature on her 1884 application. Reed created the “Dough Kneader and Roller,” a music box-like, crank-powered contraption that mixed and smoothed dough. The device was fairly complicated, employing multiple rollers of different shapes, metal strips, hinges, screws, and elastic. On 14 July 1885, Sarah Goode received her patent for a “Folding Cabinet Bed,” comparable to modern sofa or hideaway beds. The first of five black women to patent new inventions in the nineteenth century, she was a pioneer, and her efforts inspired other women and African Americans to pursue patents and take control over their creative contributions to American culture. Although little is known about her early life, at the time of her patent filing in 1891, Sarah Boone lived in New Haven, Connecticut. Boone’s patent application describes a complex design intended for a specific purpose. “My invention relates to an improvement in ironing‐boards, the object being to produce a cheap, simple, convenient, and highly effective device, particularly adapted to be used in ironing the sleeves and bodies of ladies’ garments,” she once said. Born Garrett Augustus Morgan on a farm in Claysville, Kentucky, Morgan was an astute inventor and a pragmatic businessman who dealt with racial prejudice by trying to work around it. At a later time, he probably would have gained greater renown. His life is a measure of how far an enterprising person could advance despite the color barrier, yet it also serves to illustrate how far American society would have to progress before race would be much less of a factor in the judgment of someone’s worth. In 1916, Marjorie Joyner became the first black graduate of the A.B. Molar Beauty School, later opening her own beauty shop in Chicago, at 5448 South State Street, where she served primarily white clientele. After enrolling in the Madame C.J. Walker Beauty School at the advice of her mother-in-law, Joyner became one of the company’s most trusted employees becoming vice president and chief instructor. Joyner’s invention, the mechanical device known as the Permanent Waving Machine, consisted of an electrically powered device with cords, metal curling irons, and clamping devices suspended from a dome, worked on the hair of both blacks and whites, and looked better and lasted longer than any other method available at the time. Born in Harlem, Ophthalmologist Patricia Bath created the Laserphaco Probe, a tool which is used during eye surgery to correct cataracts, an eye condition that clouds vision and can lead to blindness. Since her first patent, Dr. Bath has improved on her original invention, patenting two updated versions including a laser apparatus for use during cataracts lenses surgery. Born and raised in Mobile, Alabama, inventor, entrepreneur, businessman, and nuclear engineer Lonnie Johnson, has received over 40 patents for multiple inventions including a hair drying curler apparatus and a smoke detecting timer controlled thermostat. A retired veteran on the US Air Force, Johnson’s most notable invention is the Super Soaker© water gun. Image Credit: “Gears” by William Warby. CC BY 2.0 via Flickr.